Two special schools employees, who are both based at Iowa School for the Deaf (ISD) in Council Bluffs, were honored nationally last month for their professional contributions. Gwen Woodward, western Iowa regional director for Iowa Educational Services for the Blind and Visually Impaired (IESBVI) and Steve Gettel, who serves as dual superintendent for ISD and IESBVI, were recognized at the annual Council of Schools and Services for the Blind (COSB) conference. The awards were presented during COSB’s banquet night, Oct. 3 in Louisville, KY.
Woodward was recognized for her contributions to the advancement of K-12 education for Iowa students who are blind or visually impaired. She received the 2018 Principal/Director of Programs Leadership Award, which is typically awarded to individuals from traditional schools with day or boarding programs, rather than to the statewide system for which she co-administers. Woodward was a learning disabilities teacher for nearly 10 years, before taking positions in the disabilities resources department at Iowa State University in Ames. She was an itinerant teacher for the blind and visually impaired at the Heartland Iowa Area Education Agency, also located in Ames. Since 2009, she has served as IESBVI regional director for western Iowa. Some of Woodward’s notable accomplishments include working with other staff to develop a state-approved mentoring program for new teachers of the blind. She was part of the team which implemented professional learning communities. This action supported local school district classroom teachers in developing more effective literacy instruction. She also worked with state agencies and other organizations to implement Braille on Demand. As classrooms increase use of online resources, these materials are now brailled on short notice, and allow students who are blind to keep pace with their sighted peers in the classroom. 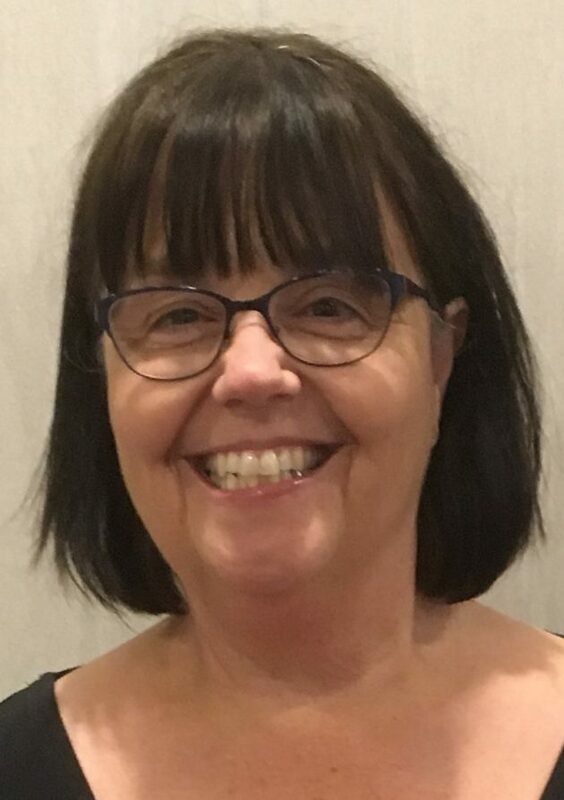 The common theme throughout nominations from peers, parents and even students that support Woodward’s award is her unwavering commitment to provide for the best interests of Iowa’s students who are blind and visually impaired. “Without Gwen, I would not have the confidence to face the world today,” said an IESBVI student, who is now enrolled at the 4PLUS transition program on the Iowa School for the Deaf campus, which Woodward supervises. “It takes a lot of courage, kindness, humor and patience to teach a blind person.” Woodward played a pivotal role in bringing the 4PLUS program for blind and visually impaired students to southwest Iowa. Superintendent Steve Gettel was presented the prestigious William H. English Leadership Award at the same COSB conference award night. Gettel serves as superintendent for both Iowa Educational Services for the Blind and Visually Impaired and Iowa School for the Deaf. Annually, a board of COSB members reviews nominations and selects one educational administrator from blind and visually impaired programs/schools from across the country for the honor. Supt. Gettel has worked in the field of sensory disabilities more than 35 years, first as a teacher of the deaf at Idaho School for the Deaf. At Montana School for the Deaf and Blind, he held teaching and administrative positions before becoming superintendent. His work with the Montana legislature to allocate funds for teacher salary increases, special student projects and other aspects of school operations critical to promoting student success were highlighted at the banquet. “Steve’s results-driven leadership and diplomacy have borne fruit through his participation and connections with state special education directors and various state agencies,” read his supporting award evidence. The award is named for William H. English, an educator of children with visual impairments and administrator of special schools. English had Iowa roots, having earned a bachelor’s degree from Cornell College in Mount Vernon and a master’s degree from Iowa State University. English was known for his leadership in expanding visual impairment services through outreach programs and a systemized method of delivery.